Location is everything, which is why our Las Vegas hotel is conveniently situated to all the best attractions. 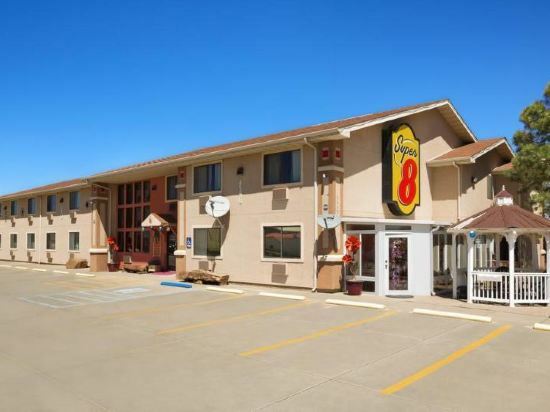 Are you looking for a hotel near Santa Fe Trail or a hotel near the State Bird Refuge? When the great outdoors is calling, you need to answer, and our Las Vegas hotel makes it easy. As a hotel near Fort Union and Pecos National Monuments, there is no shortage of adventure to be had nearby. We are near major businesses and institutions like hospitals, universities and top corporations, too. A hotel near Highland University means we welcome extended stays. Whether you are visiting the grandkids for their graduation or you are teaching for just a semester, we are your home away from home. Enjoy hot snacks in the evenings, great rates and the friendliest staff in town. An indoor pool and sauna makes it easy to relax at our Las Vegas hotel. We are right on the I-25, so commuting or getting to special events is easy. Fourth of July Fiestas always bring a crowd to the area, and Heritage Week is an especially popular time when historical home tours are available throughout the city. The Rough Rider Motorcycle Rally is a big event, and our Las Vegas hotel is a favorite for participants and riders. Both the United World College and Highland University are also nearby, and we specialize in making students and faculty feel welcomed. When you are coming to the original Las Vegas, you deserve to be treated like family. The New Mexico Harvey Houses are always a favored attraction, and the numerous points of interests, historical buildings and sites can be enjoyed throughout the year. Business travelers can even squeeze in some time for leisure activities, too. We regularly host workers with Alta Vista Hospital, New Mexico Behavioral Health Institute and government agencies like the Department of Transportation and the Department of Environment. Reserve your stay at the BEST WESTERN PLUS Montezuma Inn & Suites for an unbeatable rate! Enjoy your stay. 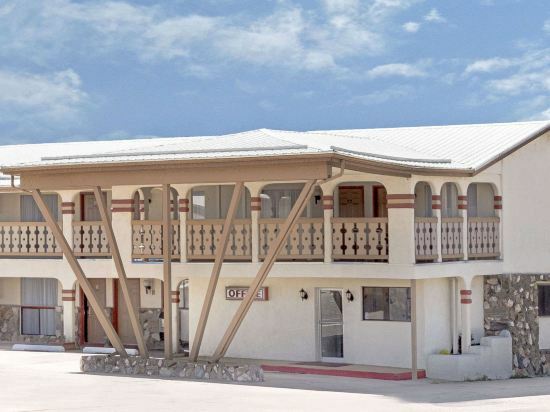 Welcome to our Charming Las Vegas, NM Hotel Enjoy a comfortable stay at our hotel in beautiful Las Vegas, New Mexico, conveniently located right off of I-25 near Highlands University, Montezuma Castle and the Las Vegas National Wildlife Refuge. You may even see a movie being filmed, as our city is often the prime choice for a movie location. Families looking for lodging in Las Vegas, NM will be pleased with our premium Las Vegas accommodations. Our hotel is in close proximity to the City of Las Vegas Museum, Pecos National Monument, historic downtown Las Vegas, Fort Union National Monument , Gallinas River, Storrie Lake Park and the old Santa Fe Trail. Have fun exploring all the western history Las Vegas has to offer. 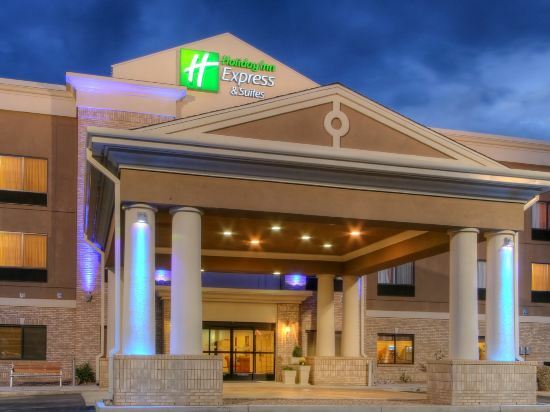 Business travelers will be impressed by the Holiday Inn Express Hotel & Suites. We offer ideal business amenities such as a Business Center with copy, fax and printing services, as well as flexible event space for meetings in Las Vegas, New Mexico. Our hotel also provides quick access to area businesses including New Mexico Highlands University, Alta Vista Hospital, New Mexico State Hospital and several new companies opening soon. Business and leisure travelers alike enjoy lodging at our Las Vegas hotel, which offers a heated, indoor pool, whirlpool and a new Fitness Center. Our free hot breakfast is served fresh every morning.Check out our excellent Las Vegas, NM hotel room deals and rates and start planning your visit today. Featuring a year round indoor pool and a hot tub, this 100% smoke-free hotel is 20 minutes’ drive from Las Vegas National Wildlife Refuge. Free Wi-Fi access is available. Parking is provided on site. 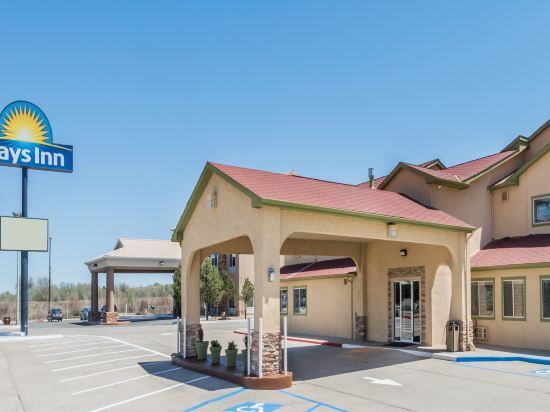 Each air-conditioned room offers a work desk, a satellite TV and an en suite bathroom equipped with a hairdryer at Days Inn Las Vegas New Mexico. A microwave and a small refrigerator are also included. Guests can take advantage of a fitness centre and a business centre at Las Vegas New Mexico Days Inn. A 24-hour reception is provided. Laundry facilities are available. Fort Union National Monument is 35 minutes’ drive from the hotel. Pecos National Historic Park is 69 km from Days Inn Las Vegas New Mexico. 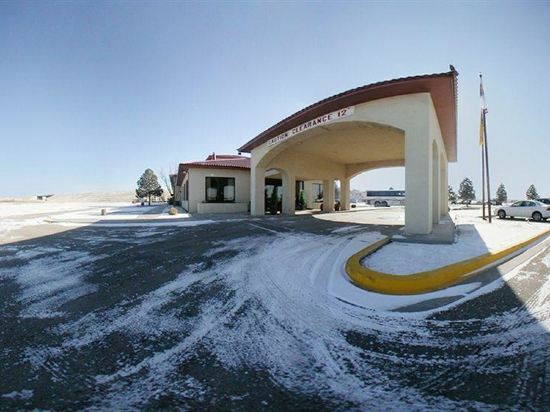 Located off Interstate 25, this Las Vegas, New Mexico motel offers a daily continental breakfast and rooms with free Wi-Fi and a cable TV. The Las Vegas Museum is 1 mile away. A microwave and coffee maker are provided in most rooms at the Super 8 Las Vegas. Each room offers simple décor and includes a work desk. Free access to the motel’s fitness room is provided to all guests, and there is a sun room for relaxation. A business center is on site. Gene Torres Golf Course is just a 5-minute drive from the Las Vegas Super 8. The Las Vegas Wildlife Refuge is 9.9 miles away. Featuring free WiFi throughout the property, Knights Inn Las Vegas offers pet-friendly accommodation in Las Vegas. Guests can enjoy the on-site restaurant. Each room at this hotel is air conditioned and is equipped with a flat-screen TV. You will find a coffee machine in the room. Every room is equipped with a private bathroom. There is a 24-hour front desk at the property. Welcome to the Comfort Inn hotel in Las Vegas, New Mexico, ideally located to enjoy the unique vistas of the local natural beauty. Montezuma Castle and the Montezuma National Wildlife Refuge are just five miles from this Las Vegas, NM hotel. Fort Union National Monument and Pecos National Monument are both less than 30 miles from the hotel. This is a wonderful destination to explore and experience historic Las Vegas and the Wild West as it really was. Visitors will wake up to views of the majestic mountains and wide-open plains. There are a variety of restaurants and cocktail lounges close to the hotel, which include Hillcrest, McDonalds, El Rialto, 2 G's, and Trading Post. New Mexico Highlands University is two miles from the hotel. Breakfast is full of hot and cold options, featuring eggs, meat, yogurt, fresh fruit, cereal and more, including your choice of hot waffle flavors! 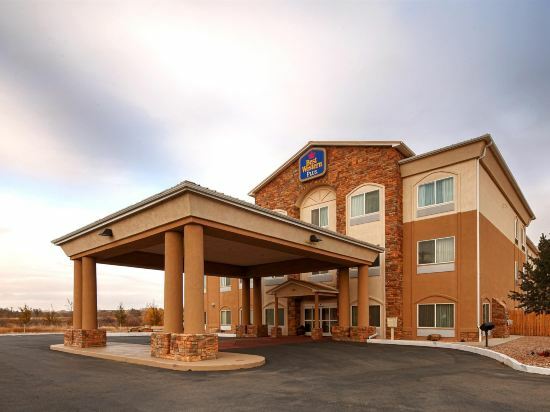 Guests of this Las Vegas, NM hotel will enjoy the indoor pool, hot tub and fitness center. Business travelers will appreciate access to fax services. The hotel's comfortably furnished guest rooms ensure a good night's sleep. Guests are invited to enjoy the spacious lobby with fireplace. Non-smoking rooms are available. Truck and bus parking are also offered. Pets are also welcome for additional cost (2 pets per room / up to 65 pounds). If you want to stay at the best hotel in Las Vegas, Trip.com is here to help! Looking for hotels in Las Vegas? Trip.com is a great place to start. You can plan a day tour in Las Vegas. Las Vegas may not be a metropolis, but there are still great hotel options on Trip.com. Las Vegas is the primary airport in Las Vegas. Although Las Vegas is not a large city, there are still hotels with great value for your money. When looking for hotels in Las Vegas, there are likely good options at a nightly budget of just 69 USD. There are 1 four-star hotels in Las Vegas at an average price of 51 USD per night. There are 2 three-star hotels in Las Vegas at an average price of 85 USD per night. There are 7 two-star hotels in Las Vegas at an average price of 67 USD per night. As a popular tourist city, Las Vegas has many renowned chain hotels. Hotels under the Days Inn brand are a good choice. In Las Vegas, there are hotels under the Days Inn brand. Travelers who favor this brand can choose to stay there to enjoy the luxury services provided by Days Inn. Days Inn by Wyndham Las Vegas in Las Vegas is a favorite among Trip.com users. Knights Inn Las Vegas is also one of the most frequently chosen hotels. For short trips in Las Vegas, Victory Ranch are all good options. You can also visit top-rated attractions like Storrie Lake State Park, Theodore Roosevelt Rough Riders Memorial and City Museum, Carnegie Public Library. Commercial areas like Pino's Truck Stop, Alsups Convenience Store are ideal places to buy souvenirs. Las Vegas hotel information & deal: Check out room rates, photos, a map and reviews of hotels in Las Vegas and find the best deals on Las Vegas hotels. Trip.com offers big savings on online reservations for Las Vegas accommodation. Book Las Vegas vacation packages and Las Vegas tours with huge discounts on Trip.com!